Yes, a partner portal lets partners benefit from self-service and thus helps to cut down on time and effort required from your managers. Still, perhaps, you are ambitious enough to dream of a partner portal that is not only a self-service tool, but also a source of competitive advantage that allows you to set higher prices for your products due to the portal’s additional services. Is it possible? Yes, it is. And here’s how you can do it. You transmit information directly, say, to partner salespeople, so it can’t be misinterpreted or delayed. The more partner employees find your portal convenient, the stronger their collective resistance to reduce the scope of cooperation with you. By turning your partner portal into a convenient tool for partners’ entire team (including salespeople, marketers and technical team), you make it easier to do business with you, facilitate partner sales and thus stand out from a range of your competitors. That’s said, how do you get more portal users at your partner’s side? You will naturally win loyalty of a partner sales team if the partner portal makes it easier for them to communicate the benefits of your offerings. Provide informative resources (e.g. sales guides, video overviews, use cases) and tools (such as configurators and calculators) to quickly customize and offer your products. Once partner salespeople start using your portal as a real-time sales assistant, your products’ prices won’t be the only motivator for them to sell more. It's good to have your products included in your partner's presentation, isn't it? It is even better if a partner uses your presentation with only slight changes, say, in the contacts section. This way, you can be sure the conveyed sales message presents your product in the best possible way. In addition, you save partners’ time in the pre-sales period and let them raise sales. With this in mind, let partner marketing departments easily access your customizable marketing assets (such as presentations, catalogs and brochures), provide market research results and go for prompt notifications about any updates in the marketing materials. Now and then, a complex product delivery will require the technical team to jump in. In accordance with customer requirements, they decide what components to use to configure a solution of choice and advise on the implementation aspects. Providing tools for the partner tech team, you can facilitate their pre-sales process and get higher sales of your products. For example, such tools can include product configuration tools, customer support plans, a searchable database with frequently asked technical questions, or an entire technical library filled with detailed docs to provide guidance on your product installation and configuration. Applying the Deming plan–do–study–act cycle, pay attention to gathering and analyzing the portal’s statistics. 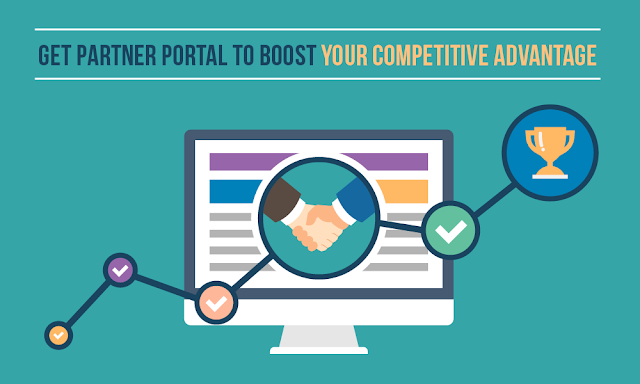 Once you know how users interact with your portal, it’ll be easier to set and meet portal engagement targets. For instance, you can plan to double the monthly usage rates of your price calculator or product configurator. Eager to know more on partner portal implementation? Check our recent entry on webdevelopment services.